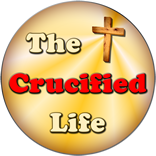 HomeThe Crucified Life Ministries BlogDoes God Hate Me? Many people cannot understand that God, who loves us with an everlasting love, can and does hate. To many, to hate sin seems to be an opposing force that a loving God would not have as a part of His holy nature and characteristics. Let’s break down God’s love and God’s hate into bite-sized pieces that can be easily understood and digested. It is true, God loves mankind, but He hates sin. God loves mankind so much that He sent His Only Son into this world to take upon Himself the penalty, or price, for all sin. This includes your sin and mine. 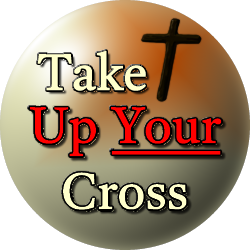 His death on the cross was the final sacrifice for payment of all sin; past, present, and future sin. God sent His Son so that each person can be convicted of his or her sin. Conviction is a loving gesture that God, through the finished work of Jesus Christ on Calvary, does for pointing out sin at work in an unregenerate man’s heart. It is important to understand that God does not point sin because He hates us, but rather because He loves us with a supernatural eternal love. Because God loves us, He desires every person allow Him to remove the presence of sin from their heart and to be eternally cloaked in His great eternal love and mercy. God loves you abundantly and it is in His holy nature to both love us and point out sin. He desires for us to allow Him to eternally cloak us in His supernatural power, presence, and love and to allow Him to direct us away from sin and unto Him.